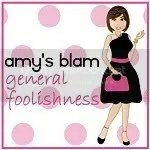 You all have probably noticed the lack of post BlogHer posts…or any posts for that matter this week. Between sleeping, newspaper deadlines, waiting tables for the American Cancer Society and school starting-I have been INSANELY busy. Plus, I’m going to go help out at Auburn with rush. So stay tuned, I promise they’ll be worth it. Plus, it TOTALLY gives you time to check out everyone else’s posts. See? I’m giving like that. I am also woefully behind on returning comments and visiting my normal blogs. I also need to add blogs and twitters of people I met-working on all of the above. ← NYC: 4. AmyBlam: 0. Seriously. I have been waiting for YOUR review of BlogHer. I know yours will just sum it up with Amy Blam perfection. No pressure, though. Like Joann, yours is the one review I’ve been waiting to hear! Can’t wait for those posts! Looking forward to your blog her impressions. Enjoy your week!